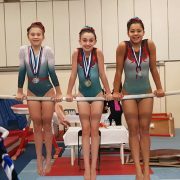 You are here: Home / News / News / Over 50 medals in a Month – Cheshire Champions! 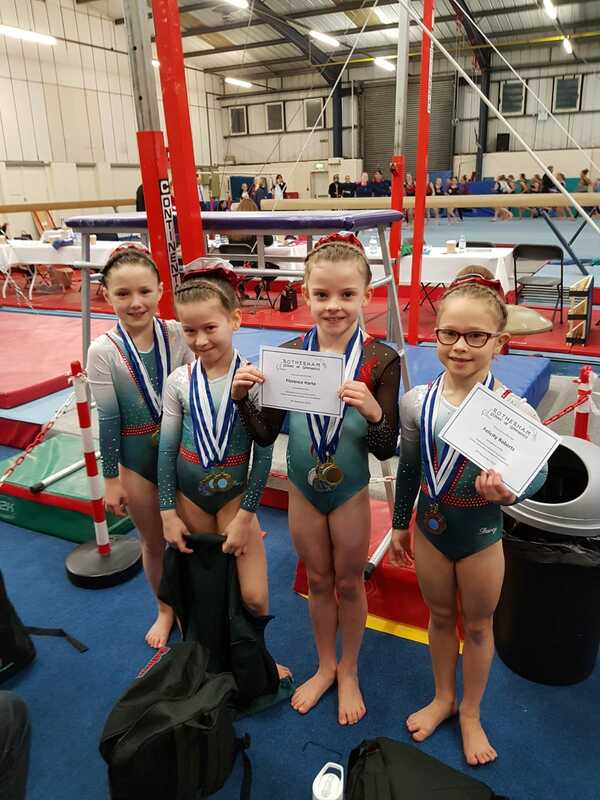 Over 50 medals in a Month – Cheshire Champions! 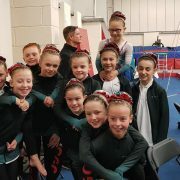 After the last 4 weeks of competitions, the club has taken over 50 medals and created many champions due to its numerous great coaches and our new Moss Farm facilities! 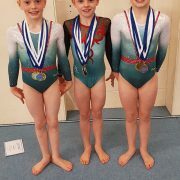 The Rotherham competition this weekend delivered many more champions. Grace Erith – Gold Overall Champion including a perfect score on vault! Gold on beam, silver on floor. 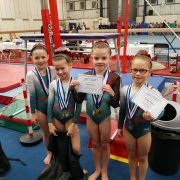 Florence Harte – Gold Overall Champion, Gold bars, silver beam, vault & floor. 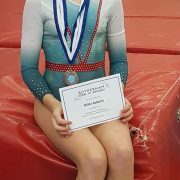 Caoimhe Wilkes – Gold Overall Champion, Gold Floor, Gold beam, silver vault, bronze bars. Ava Sumner – Gold Overall Champion, gold floor & vault, silver bars. Sophie Jennings – Silver Overall including a perfect score on vault! Gold on floor, silver on beam. Kathryn Elliot-Nielson – Silver Overall, Gold floor, beam & vault. 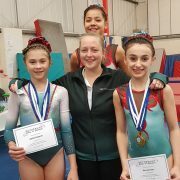 Imogen Evetts – Silver Overall, gold beam, silver floor & vault. Tom Jones – Silver Overall, Gold – floor, P bars, vault, H bar, silver – rings & pommel. Adam Halaburda – Bronze Overall, silver vault, all others pieces bronze. 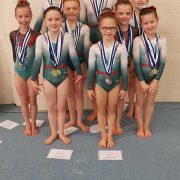 Mille Roberts Silver Overall, silver floor. Shiloh Lee – Gold beam, bronze floor & vault.